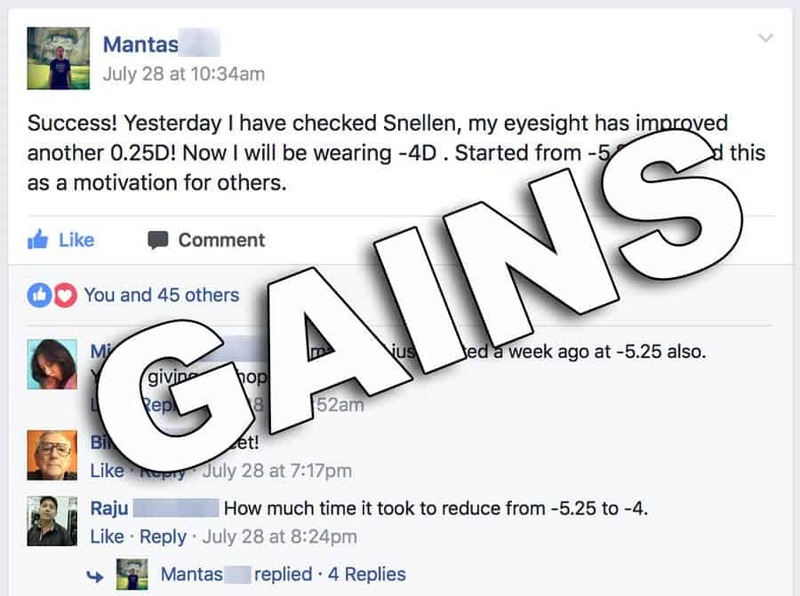 Today we have a post from Irene in the Facebook group, sharing her fantastic reduction from a starting double digit minus correction. 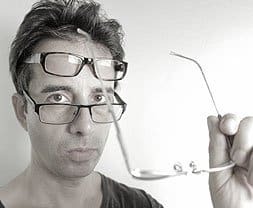 These are particularly inspiring since it’s really like stepping back from the cliff – high myopia creates a lot of potential serious long term vision health issues you really don’t want to encounter. You don’t want to ever experience lattice degeneration or retinal detachment or glaucoma. You do want to experience how much better the world looks through lower diopter lenses, though! 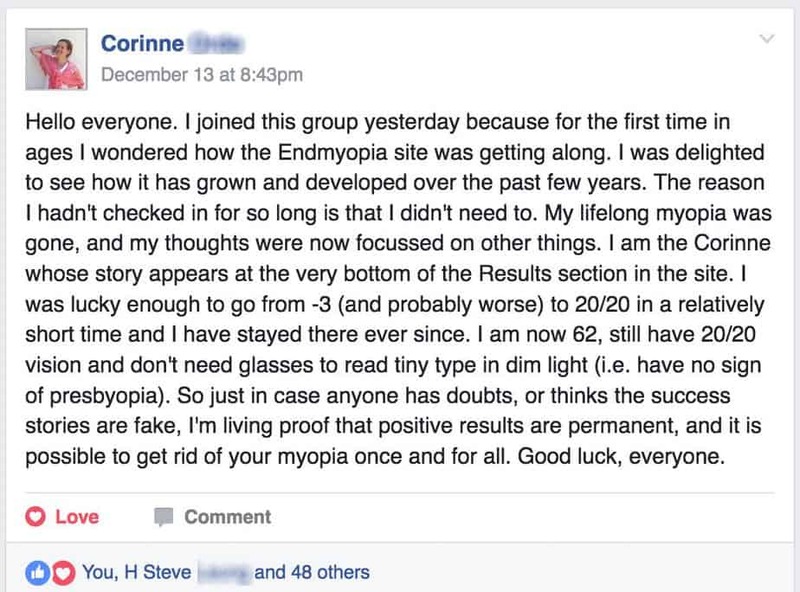 You may be truly saving your eyesight, taking corrective action if you have high myopia today. These are the kind of things the Internet is humanity-changing for. 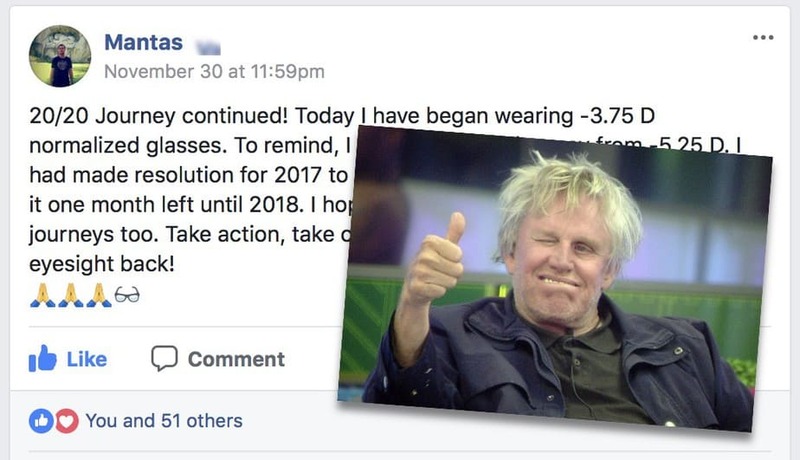 Before the Internet you favorite eye guru used to exist only to a small number of people, by referral of word of mouth, and in-person meetings. At most ten people per month, often less would have the opportunity to discuss the method now available to you from really anywhere in the world. Also back then all of these ideas weren’t cataloged the way they are today via the blog. There wasn’t an active and growing support community like our Facebook group today. There wasn’t anywhere to read all of these progress reports, to be motivated by and learn from. Today we have thousands of members in our Facebook group, growing by the dozens every single day. 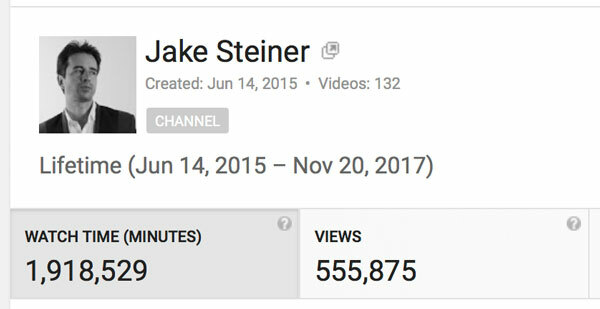 Our Youtube views are about to cross the two million minutes mark (1319 days or 3.6 years equivalent of viewing time). 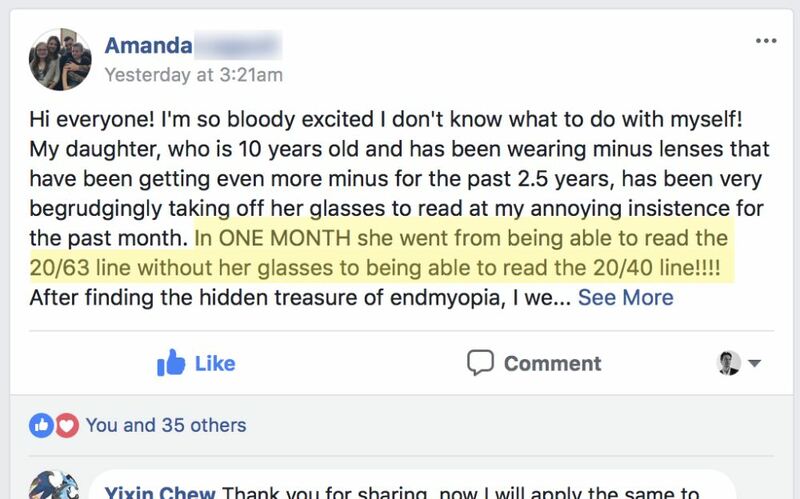 Every single day people watch more than three days worth of endmyopia video on Youtube. 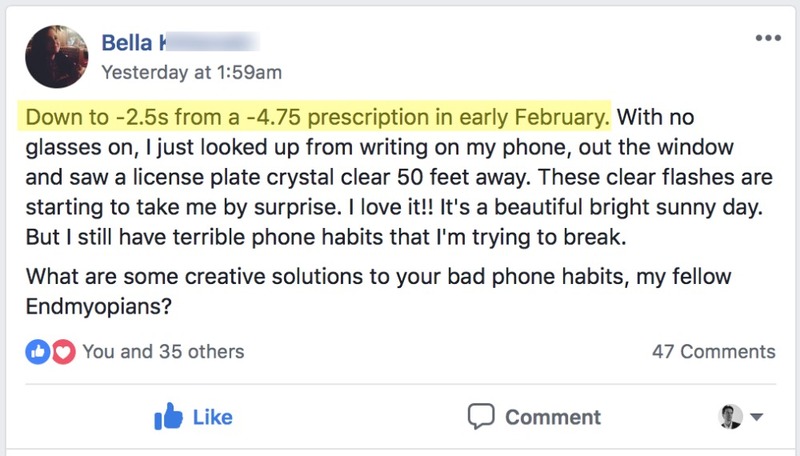 Sure it’s a tiny spec by entertainment channel standards, but consider the reach of this message about myopia – every day three more days of time are consumed, learning about eyes. Even this blog now has hundreds of thousands of readers and is also growing every day. 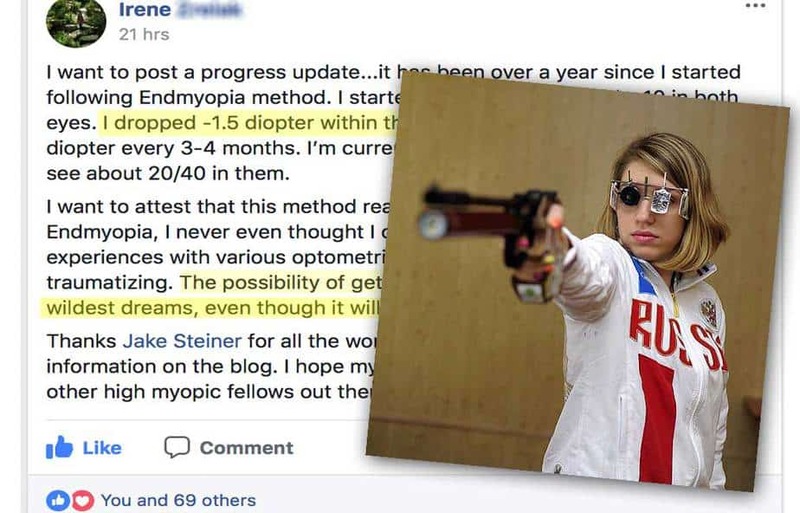 Cracks will start forming in the mainstream message of myopia as “illness” and “genetic deficiency” and “irreversible”. Myopia will eventually become a choice, rather than some forever-affliction. It’s the production quality (and that beard). 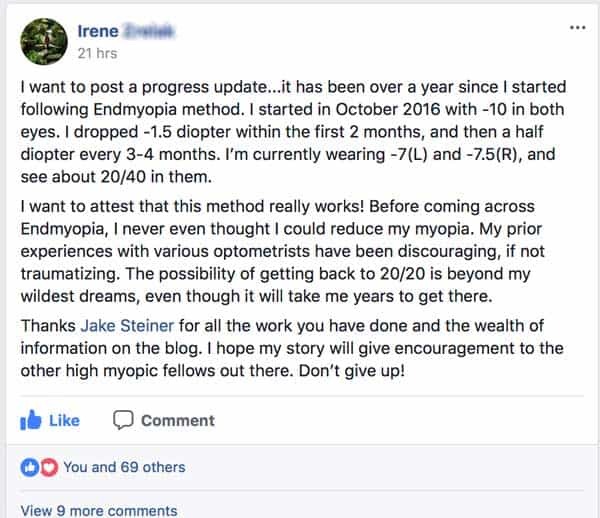 Keep sharing this resource, keep posting your own experiences, be part of the growing voice of reclaiming our own natural 20/20 eyeballs.